MAGIX 에서 SOUND FORGE Pro 13 를 발표하였습니다. 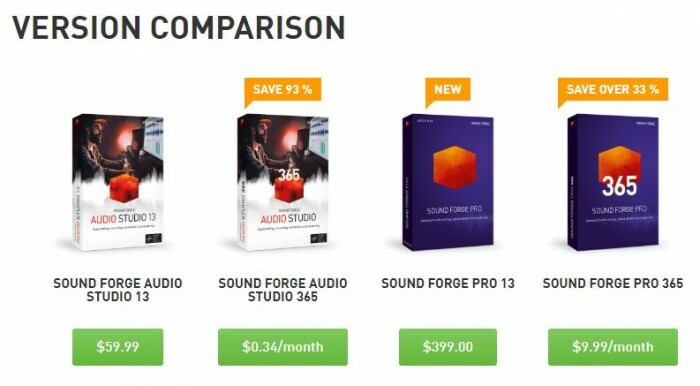 월결재 구독방식으로 SOUND FORGE Pro 365 로 사용시에는 월 $9.99 결재도 가능합니다. 개인 커스터마이즈가 가능한 interface 를 채용했고 new VST engine, ARA2 지원, 다양하게 추가된 new FX effects 등의 이번 신버젼의 특징이라고 합니다. 특히 new mixing and mastering plug-in 들이 MAGIX 의 기술로 새로 탄생했다고 합니다. redesigned GUI 에서도 아래와 같은 3가지 모두를 지원한다고 합니다. 동시에 32채널 레코딩이 가능하며 최대 64 bit / 384 kHz 까지 지원하게 된다고 합니다. New VST2/3 engine 으로 VST 퍼포먼스도 향상되어 안정성이 더 좋아지고 더 빠른 처리 속도를 지원한다고 합니다. 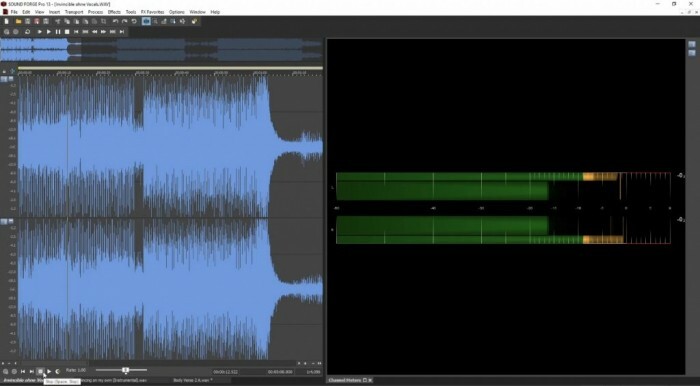 Sound Forge Pro 13 에서는 새로 디자인된 레벨 미터인 Peak Meter V2 가 적용이 됩니다. 셈세한 모니터링과 레벨 컨트롤이 가능하도록 도움을 주는 플러그인이라고 합니다. 그리고 Magix 에서 디자인한 new mixing and mastering plug-in 들이 적용됩니다. coreFX 2-point compressor, limiter, expander, compressor, and gate 와 coreFX delay, chorus, flanger 등이 기본적으로 제공되며, 향후 계약 여부에 따라 iZotope Ozone 8 Elements and RX 7 Elements 플러그인도 지원 예정이라고 합니다. 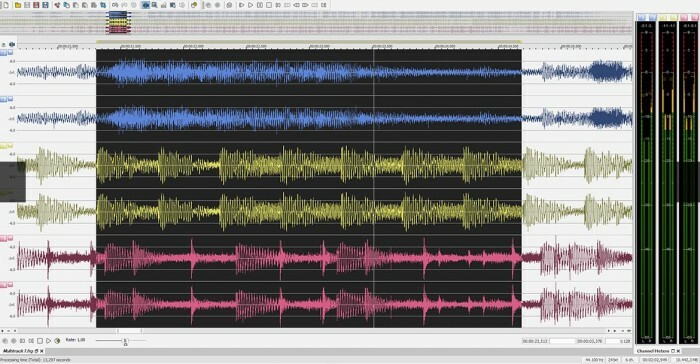 그리고 zplane élastiquePro v3 engine 이 Sound Forge 와 완전 통합되어 time stretching 과 pitch shifting 성능이 획기적으로 올라갈 것이라고 합니다. 이른바 “stable timing, cross-channel phase coherence and sample-accurate stretching” 를 지원할 것이라고 합니다. Sound Forge Pro 13 는 Windows 7, 8, or 10 at 32 or 64 bits 를 모두 지원합니다. 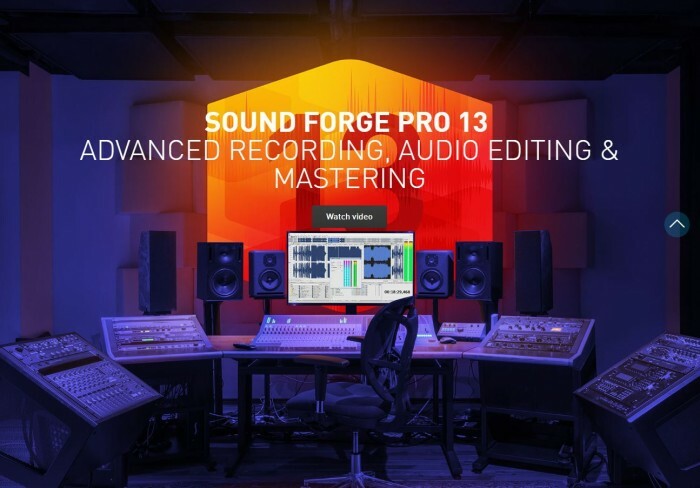 Sound Forge Pro 13 의 Mac 버젼은 다소 시일이 걸릴 것이라고 합니다. 무료로 데모 버젼을 사용할 수 있습니다.